RFID System tracks/controls product quality in automation process. Used in conveying, mold/die management, and pallet tracking, DTE system can read and write data at high speeds and connect to all common PLCsÂ as well asÂ industrial bus systems. Features, in addition to configurable, 4-port RFID controller, include non-shielded M12 cables between antenna and controller, compatibility with ISO 15693 tags for global use, and integrated Ethernet switch. Configurable via built-in Web page,Â this 13.56 MHz system facilitates RFID implementation. ifm's New RFID DTE Identification System Tracks, Controls and Improves the Quality of Products throughout the Automation Process. ifm’s DTE RFID solution offers an easy and cost effective way to implement RFID. Widely used in conveying, mold/die management and pallet tracking, the DTE system is capable of reading and writing data at high speeds and can connect to all common plc’s and industrial bus systems. The robust DTE controller contains a built-in web-based tool for device setup, diagnosis and monitoring. Setting up the device can be done conveniently from the user’s desk, without connection to a field bus system, for example, and thus allows the system to be tested prior to installation. No external software is necessary for configuring. ifm products. For over 40 years, ifm has developed, manufactured, and marketed sensors to industries that include assembly and robotics, automotive, material handling, packaging, metal forming, plastics, and food and beverage. We offer a complete family of position sensors, fluid sensors, diagnostic systems, networking products, and wiring solutions. Quality. 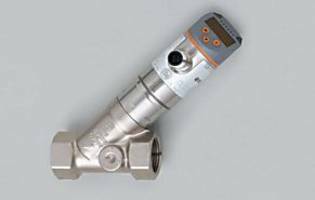 There can be no compromise in the quality and reliability of sensors that are applied in your production facility. The ifm new product development process incorporates specific testing for sensors and controls to withstand environments with shock and vibration, electrical noise and temperature fluctuations. 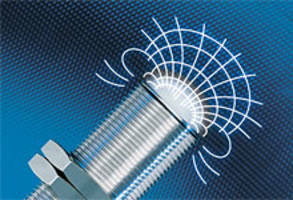 Inductive Sensors come with non-flush sensing ranges. O8 Series Photoelectric Sensor comes with switchpoint adjustment.